SALSA is implementing a multi-tiered approach to education and outreach through public exhibits, K-12 teaching content, social media, web-based content, and the production of three short films. SALSA science and scientists reach across the country from California to Florida, from New York to Montana, and places in between. Scientists, graduate students, and staff are engaged in a variety of public outreach events that share SALSA science with a larger community. Click here to see our blog following SALSA’s 18/19 field work. The SALSA team has been visiting classrooms around the country. In October 2018, SALSA Education and Outreach received the Biochemical Society Outreach Grant to travel across Montana and visit rural schools and communities. Likewise, SALSA plans on developing teaching content for k-12 teachers across the country, accompanied by a short film series for use by PBS Learning Media. You can see our PBS Learning Media lessons here: SALSA PBS Learning Media. SALSA is developing three short film productions to disseminate to large audiences. The first film was completed in May 2018 and Follows the SALSA Traverse on their first trip to Mercer Subglacial Lake. 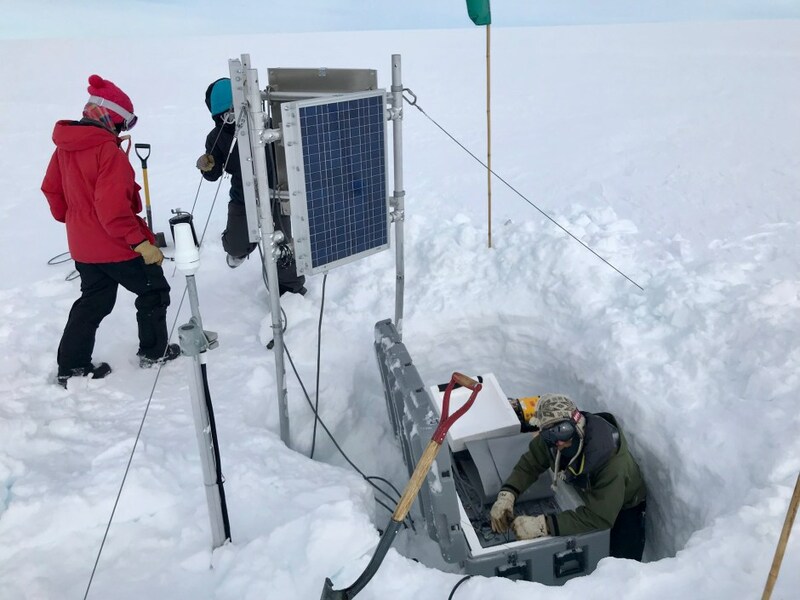 The 2019 series will ask two central questions: 1) What does subglacial science tell us about our past and future climate? 2) What does subglacial research reveal about life in cold environments and the search for extraterrestrial life on icy planets? Film productions will be designed for science film festivals as well as online streaming sites such as PBS Learning Media and other platforms. This production and distribution strategy will also allow for a broad audience base that can be shared amongst online science communication organizations and incorporated into popular online science articles. Chair Principal Investigator Brad Rosenheim will present results to nearly 20,000 visitors at the Saint Petersburg Science Festival. PI Rosenheim, funded through NSF Paleoperspectives of Climate Change, will have an information booth on sea level change that will include results from the SALSA project. Films from SALSA will be featured at The Visualization Lab at Colgate University, a popular resource for local school, scout and adult education groups. From its inception in March 2008 through December 2014, “The Vis Lab” has hosted 302 school groups. Kathy Kasic’s creative work includes research into novel modes of film presentation. She is planning an experimental multi-media exhibit for the SALSA research mission that will use images and sound to create a sensory environment that emulates the features of the subglacial environment and the experience of Antarctic exploration. This experimental work is important in generating an immersive cinematic experience of Antarctic research and will be developed for use by art galleries and museums.